So it's time to reveal the Match of the Month results for February 2015, a total of 102 people voted this time round with six different countries being represented across Europe and North America. Before we get into the Top Three Matches (and those that have qualified for the Match of January to June vote later in the year) let's take a look at the rest of the matches that captured votes this time round. Congratulations to everyone who earned votes this time around, however special recognition to The Young Bucks who posted three matches within the rankings. Recognition must also go to AJ Styles, Time Splitters and Tomoaki Honma for earning two matches inside the ranking. This was a smooth match that built well towards it's finish, whilst playing on the interweaving relationships between the four women in the ring. Up there with the best Fatal Four Ways WWE has ever produced this match more than deserves to be represented here, even giving second place a run for it's money. A terrific story, from start to finish Kevin Owens and Sami Zayn's NXT Championship match was gripping, edge-of-your-street drama. A compelling battle, pitting a vicious, unstoppable villain against a plucky, never-say-die underdog of a hero. 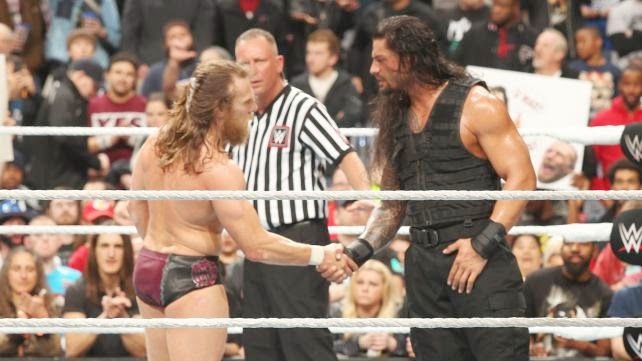 This match made a star out of Kevin Owens in only his third match in WWE and put his name on everyone's lips. Most of all it left you wanting more, which may be the reason it found itself in Second place as opposed to our Numbero Uno. Yes, another top three clean sweep for WWE NXT. 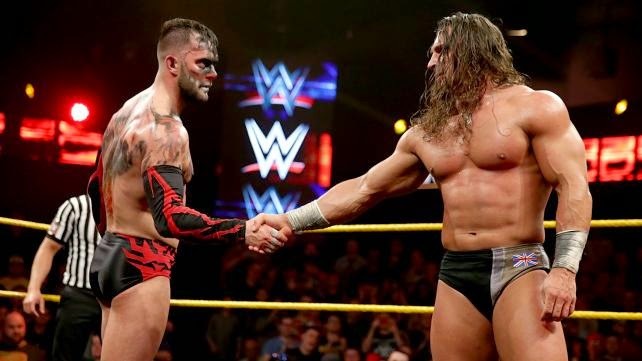 With a foundation of good solid storytelling, Neville and Balor put together a hard-hitting and technical series of moves and near falls that knitted their two styles together perfectly. With a finish that was a joy to behold, it was difficult not to enjoy this match. These two clearly have bright futures in the WWE, along with all of the talent name in our Top Three this month, it's a credit to the work that Triple H and his team have done that the "Developmental" group is picking up so many of our Match of the Month awards. The three NXT matches up for nomination garnered 55% of the total vote between them, compared to just 15% for WWE's main roster PPV Fastlane. This list is based on those matches that make our Top Three each month (beginning in January 2014), with each 1st place match earning 3 points, 2nd place match earning 2 points and 3rd place match earning 1 point. In addition any placing in the Top Three in our Year-Half polls will earn the same value, as will a placing in our Match of the Year polls. In essence a Match of the Year Match would earn 9 points. Just an interesting way of keeping track of things since we started the polls last year. Changes this month see Sami Zayn jump ahead of Roman Reigns into 3rd place, whilst Adrian Neville leap frogs Bray Wyatt to claim 7th. Ones to Watch - Randy Orton, Cesaro and Dolph Ziggler are all capable of breaking the Top 10 next month.